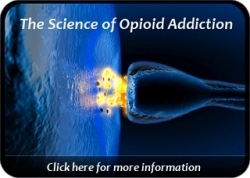 Methadone.US has successfully educated and enlightened many thousands of online visitors over the last two years. Our goal has been to demystify & destigmatize opioid replacement therapy, and to highlight how methadone, suboxone, and other treatment interventions can give patients a new lease on life. It is important to emphasize that methadone and suboxone are medically-approved treatments in wide use across the United States and the world. In the US, these medications are prescribed and administered under the supervision of a physician. A physician is at the core of every methadone clinic, and it is the physician who is authorized to prescribe suboxone for opioid addicted patients needing relief and hope. On our city pages, Methadone.US lists local physicians who are certified to write prescriptions for buprenorphine (suboxone). Our lists are drawn from the United States government database at SAMHSA (Substance Abuse and Mental Health Services Administration). Our city pages are fairly extensive and cover most of the continental United States. However, suboxone and methadone treatment have become so popular that even smaller towns now often have medical professionals providing some form of opioid addiction treatment. Suboxone doctors and opioid treatment specialists are very much needed in response to the country’s growing opioid addiction problem. Suboxone doctors are in a unique position to not only offer much desired relief from opioid withdrawal, but they can also promote with patients the importance of committing themselves to a process of counseling, recovery, and long-term behavior change such that ongoing drug abstinence becomes possible. 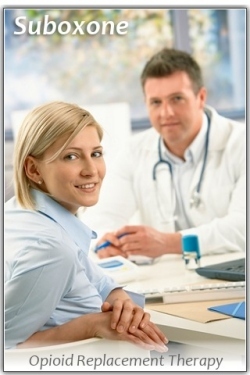 Many suboxone-certified physicians are also board certified addictionologists. This means that they have received special training in identifying & treating addiction disorders of all varieties. Methadone “take home” medication (also referred to as “take outs”) is a true convenience for those enrolled in a methadone clinic. Typically, clients who demonstrate that they are drug free and progressing in their substance abuse treatment can earn the privilege to receive take home medication. Receiving take home methadone requires that the prescribing physician (and clinic) have safety and accountability measures in place to help reduce the chance of methadone or suboxone getting into the wrong hands. When clients take medication home, it is critical that the opioid replacement medication be kept secure and out of the reach of children. Overdoses can occur with individuals that have no developed tolerance to opioid replacement medication. Receiving take home methadone is a privilege, not a “right”. This decision to award take home medication is usually a collective decision made among the clinical and medical staff in a treatment program. They base a client’s readiness to receive take home medication on that person’s level of recovery stability, absence of active psychiatric symptoms, and the safety & security of their immediate home environment. Methadone and suboxone have considerable “street value” and can be resold or misdirected. Therefore, clinic staff want to be as assured as possible that any particular client receiving methadone is sincere, stable, and appropriately focused on his or her own recovery. Methadone and suboxone patient rights are of course always very important. Clinics and physicians sometimes walk a fine line between accommodating the patient and requiring accountability measures that are perceived by the patient as a hassle. For example, methadone clinics are required to perform random “call backs” in which a client is contacted and required to bring their methadone medication back to the clinic within 24 hours for a recount. This helps the clinic insure that the patient is not over-taking their medication or misdirecting (selling) their medication. While not a guarantee of good behavior, it does encourage patients to treat their take home medication responsibly and with substantial care. Another safety measure is random urinalysis. It is not safe for patients to receive take home medication if they are using other unapproved drugs. If a random drug test shows the recent use of illicit substances, then this requires the clinic to suspend take home privileges for some period of time, at least until it can be established that the patient is back on track and testing drug free again. If a patient feels that their rights have been unfairly compromised, then they have access to the clinic’s internal review process and/or the state’s methadone board who hear and investigate client grievances. In the end, the patient and the methadone clinic should be in a cooperative partnership. This is the working ideal in any health care relationship one has with their treating physician. Clinics exist to treat and serve patients, and opioid addicted patients need the services of opioid treatment providers. This relationship is extremely valuable and should be nurtured by both parties both at initial intake and ongoing for the duration of the treatment process.